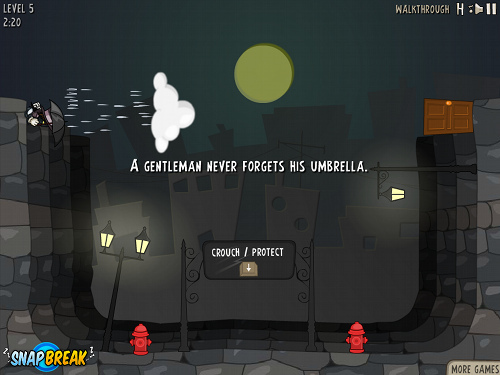 Description Take your umbrella, put your top hat on and try to find your way through this original platform adventure with over 50 incredibly challenging levels! This is the next hit game from developer SoulGame whos flash games are well-known all around internet. Enjoy!